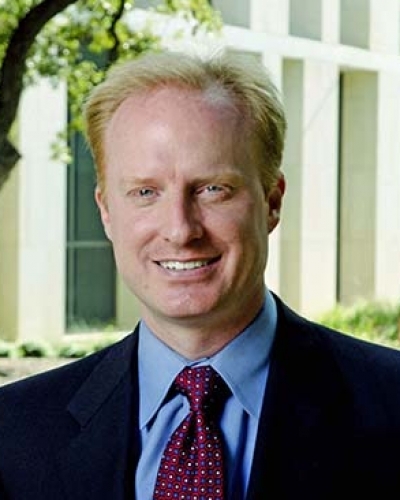 Dr. Harrison Keller is Deputy to the President for Strategy and Policy and a Clinical Professor of Public Policy Practice at The University of Texas at Austin. He is responsible for driving achievement of the president's strategic vision by coordinating long-range planning, policy development, and strategic implementation among academic and administrative units, and for organizing and overseeing strategic initiatives related to inter-institutional partnerships. Beyond the campus, Dr. Keller engages state and national policymakers and thought leaders to inform higher education policy deliberations in line with institutional priorities. Dr. Keller is founder and Principal Investigator for the OnRamps dual enrollment initiative that provides college-level courses to high school students across the state of Texas, and the Texas OnCourse initiative chartered by the Texas Legislature in 2015 to improve secondary college and career advising across the state. He served previously at UT Austin as Vice Provost for Higher Education Policy and Research, and as Executive Director of the Office of Educational Innovation and the Center for Teaching and Learning. Prior to coming to UT Austin, Dr. Keller was director of research for the Texas House of Representatives and senior education advisor for the Speaker of the Texas House. He has served as an appointed member of multiple state and national initiatives, committees, and task forces related to public and higher education finance and policy. His research interests include education policy and finance, moral philosophy, and democratic deliberation. He has taught at Georgetown University, St. Edward's University, and the University of Texas at Austin. Dr. Keller holds a bachelor's degree in philosophy with honors from the University of Notre Dame and a Master's degree and Ph.D. from Georgetown University. He and his wife, Gena Nivens Keller, live in Austin with their children William, Elizabeth, Emily, and Mary Katherine.